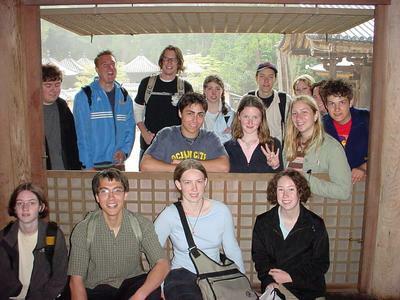 Update at July 7, 2004: *All* the Himeji 2004 photos! They're back: From Vashon to Himeji, 2004! The third batch of 2004 photos is here! The second batch of 2004 photos is here! The first batch of 2004 photos is here! things with such an amazing group of students. An email from Tina! More of what they've all been doing! to eat fried rice and dumplings in the middle of Japan! An email from Sensei! More of what they've all been doing! enjoying the sunny, warm and dry weather today! details when we get back this afternoon. An email from Sensei! What they've all been doing! Messages from (some of) the kids! Sensei's quote for the day! friends this weekend and will teach it to all the other kids! say our kids are being well taken care of. hot metal but it's obvious that it takes years to perfect the process. "Lost a leg. Might be gangrenous. Hope for the best." "Miss you all. Composed a brief Haiku." "Keepin' it real in the Land of the Rising Sun and cell phones." "Walk a lot. Good mushrooms." "I wore kimono and did lots of Karaoke!" to leave. Love you lots." "Wait Sensei, China's the land of the Rising Sun, right?" This is from Sensei! Messages from all the kids! Also: see below for "Tina's Japan Update"! Castle and the Kokoen Japanese gardens. say hi to their families and friends at home. Hey doat! I like the things you do. Hey doat! If I could I would be you. You're the one and only deer slash goat. With the one and only face. With a taste that makes you say great. This is from Ms. Taylor! Hey Everybody - I'm in Japan!! with their homestay families. We may run into some of them in Kyoto. thing -with layers of bean sprouts and noodles and other yummy stuff. It's topped with a thick brown sweetish sauce and it was very good. stayed overnight in a Japanese style lodge and cooked dinner together. Juan Islands only the islands are a little bit pointier. one sock and one slipper. That was very funny! did get an email regarding a sighting of the group. my father reporting on the visit. more time with her than I had expected. set fron USA to Japan. I start working from March, which makes me so confusingly busy. So let's see. Hiroshima and Miyajima would have been Thursday, Japan-time, or (roughly) Wednesday here..
Come with host student, and stay in dressmaking room. Our students will move to the school gym. that they had arrived and were doing well. grammar, but japanese keyboards are hard! business so that we might be able to fly united back to the US. After lunch were heading out to miyajima, its really beautiful. I can send more e-mails when I see my host family! OK. Let's just say that it's 8:00 A.M. Wednesday morning April 14, here on Vashon (which it is, right now..) so, "Add four hours, and switch A.M. to P.M. or vice versa..."
So that would make it 12:00 P.M. midnight, Wednesday-Thursday April 15 in Japan, so, according to the itinerary they are on Miyajima Island at Tsutsumigaura Nature Park! So by around 1:00 A.M. tomorrow morning, our time here, they should be back to Himeji and off with the host families. Thanks to John Sage for putting the site together and keeping it updated!" Now I can't wait to hear from Maren, and get some photos! Cool! I've just (03/25/04) heard from Williams Sensei (Maren)! > the ropeway to the monkey park at the top of Mt. Misen, etc. 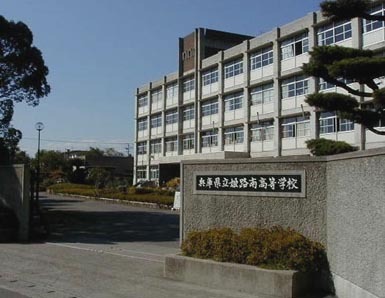 Himeji Minami Senior High School, in Himeji city, Hyogo Prefecture, Japan, is Vashon High School's sister school. Each year a group of students travel from Himeji, Japan to Vashon Island, or from Vashon Island to Himeji, for a one- to two week visit, alternating each year. 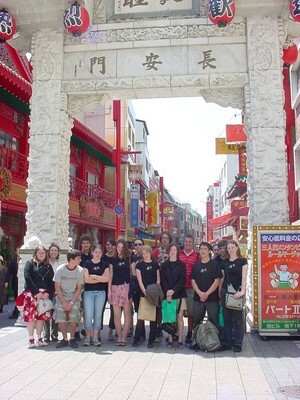 In 2002, approximately 15 Vashon High School students will be traveling to Himeji, Japan, from April 15-24, 2002. "International Exchange -- Sister School Relationship: Vashon Island High School in the United States of America in Japanese! "Himeji City has formed sister affiliations with five cities and one castle overseas and is strengthening the bonds of friendship through goodwill delegations, young people's visits and other mutual exchanges. The number of people from overseas visiting Himeji or taking up residence here, meanwhile, is increasing year by year and creating a need for a broadening of the scope of international communication in the city." And the Hyogo Prefecture Business and Cultural Center's *really* cool photo gallery of Hyogo Prefecture! The Hyogo Prefecture Business and Cultural Center's got a *really* cool photo gallery of Hyogo Prefecture! 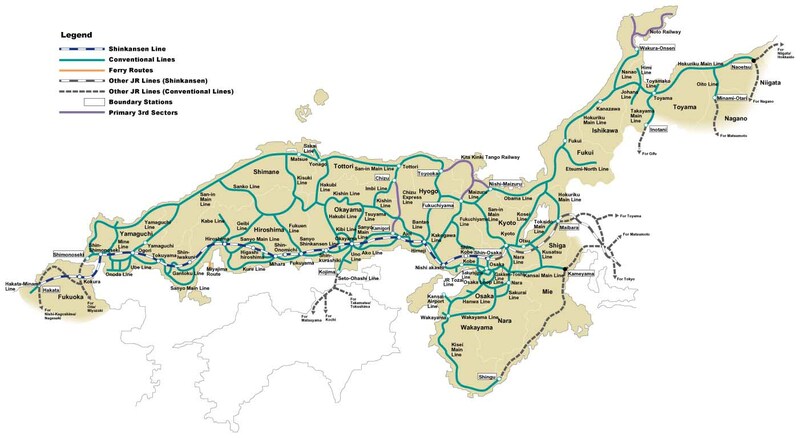 The Japan Railways Group for "western Japan"
Some of these links were quite happily stolen from Williams Sensei's homepage! Williams Sensei says: "Add four hours, and switch A.M. to P.M., or vice versa." Of course, there's also the International Date Line in between here and there, but that only comes into play when you're actually traveling. So although the kids left Vashon on Monday morning, they'll arrive in Japan on Tuesday afternoon, roughly 17 clock hours later. And when they come home, they'll leave Japan at 5:00pm local time, Wednesday April 24, and arrive here at 1:15pm the same day! Time travel!